It’s the last day of November and I’m looking back in wonder at how spectacularly I failed at NaBloPoMo this year. Yikes. I only updated my webpage twenty times this month, so I skipped a third of the days. How pitiful! 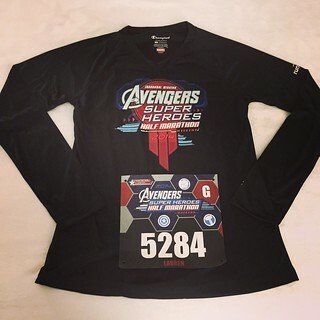 If I was going to make excuses I’d list the Avengers Half Marathon and Thanksgiving as the explanation for the missing posts, but those events aren’t the only reasons for the omissions. This month has been pretty exhausting and I didn’t manage my time very well. Oversubscription and procrastination make for a vicious circle. I’ve had trouble keeping up with just about everything since the half marathon two weeks ago. I think I was burned out and it made me lose my motivation to be productive in a lot of areas (running, writing, and housekeeping, to name a few). 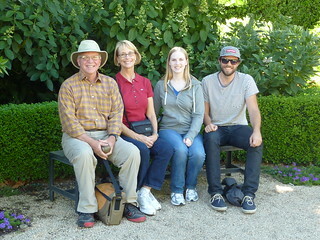 Fortunately, I think the Thanksgiving holiday helped to recharge my batteries and now I feel a lot better. As of today I am determined to turn everything around. Tomorrow is the first day of December and there’s no way I’m going to let the last month of the year slip away so easily. I got home from San Francisco early this morning and I had so many things I wanted to accomplish to close out November on a good note. I have actually been fairly productive today, but there is still so much stuff that I didn’t get done. After my flight landed I drove straight to Target from the Long Beach airport and actually got there before they opened at 8 AM! In the meantime I went next door to the Ralph’s and bought some vegetables to cook for my lunches this week. (My diet was a distant memory while I was out of town and it’s high time I get back on track in that respect. I will elaborate on this bizarre and sensitive topic in a future post.) I snuck in to Target right at 8 AM so the crowds were minimal. The only thing I really wanted to get was a garland for my Christmas tree, but of course I also bought some frozen fruit for smoothies and a few other snacks. I’ve discovered that it’s impossible to leave Target with a single item. After these two errands I went home to unload everything from my car and start my productive Sunday. I intended to put up my Christmas tree today, but I spent too much time on other chores (and online shopping/TV watching) so decking the halls will have to wait until later this week. I did cook all of the vegetables I bought this morning and put together several lunches for the upcoming week, so that was good. I may not be fully prepared for the work week to start tomorrow, but at least I’ll be well fed. It’s going to be a busy week! More on that to come. I finally put away my Halloween decorations on 11/8 and put up my Thanksgiving stuff. As I mentioned last year, I don’t have much in the way of Thanksgiving decorations, but I do my best with what I’ve got. To make my seasonal display look more substantial, I decided not to pack up my pumpkin luminaries after Halloween. It’s still fall, after all! Admittedly, the jack-o-lantern is a little out of place in November, but I get to enjoy it for an extra month this way. And with all the effort it took to get the pumpkins I’m going to leave them out as long as possible. As you can see in the above photo, I gave my little accordion turkey a place of honor in my display this year. What’s Thanksgiving without a turkey? I found a little box that’s just the right height to showcase my beloved $1.97 turkey from Walmart. Doesn’t he look festive up there? Rounding out my display are my Publix Pilgrim people, a couple of Hallmark Thanksgiving ornaments (one from the Peanuts series last year, and one from the Disney series this year), and a Disney Vinylmation that looks like a turkey. 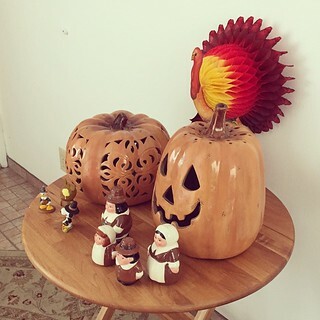 It’s still not much, but I love seeing my little collection of Thanksgiving decorations when I come home from work each day. And I will enjoy it as much as possible until it’s time to decorate for Christmas. Only more week! Holy cow! I know it’s not even Thanksgiving yet, but bear with me while I talk about Christmas a bit. I love buying Christmas gifts. Giving presents that I know people will love is so much fun. I probably spend a quarter of the year planning and purchasing Christmas gifts for my family. A little excessive, maybe, but it always pays off on December 25th. Each year I usually buy something for myself as well. Last year I got my laptop, which was a fantastic choice because I love it and use it every day. This year, however, is going to be a little different. I’ve already mentioned that I got myself a hotel room near Disneyland for the Avengers Half Marathon last weekend and it turned out to be a great decision. I got a little more sleep, I didn’t have to drive anywhere at 3 AM, and I got to take a hot shower as soon as possible after the race. It wasn’t the cheapest option, but definitely worth the cost. (And I already have a reservation at the same hotel for the Tinkerbell Half Marathon weekend in May.) So this year my Christmas gift to myself is hotel rooms for a couple of races in December. I went a little crazy registering for races next month. I’m signed up for three – one 5K, one 10K, and one half marathon. Oops. I may have overextended myself. Plus, two of the races (the longer two, of course) aren’t exactly close to where I live. So to prevent lengthy pre-dawn and post-race drives (especially in my post-race clothes – gross), I got myself reservations at the closest hotels possible to the Holiday Half Marathon in Pomona and the Magic Mountain Holiday Run 10K in Valencia. They won’t be luxurious rooms, but when the time comes I know I will appreciate them. It might not be a tangible Christmas gift I’m giving myself, but I’ll probably enjoy it as much as anything else I’ve bought this year! I made these apple butter cookie bars almost a year ago and I can’t believe I haven’t written about them until now! The good thing is that it’s fall again and apple-flavored desserts are completely relevant again! These cookies were one of a few different kinds I sent to my co-workers in DC last December. Here’s what I wrote about them at the time. They sound pretty good, huh? I remember having one or two myself and really liking them. The apple butter flavor made them really unique. Calling them “cookies” might be a bit of a stretch, though, because the apple butter makes the texture more like a cake than a cookie. Kinda like when you add pumpkin to a cookie recipe. You get something much softer and chewier than a traditional crispy cookie. That doesn’t undermine their deliciousness, though. If you have a jar of apple butter hiding in your cupboard, make these cookie bars! In a large bowl, cream together the butter and 1 1/4 c sugar until light and fluffy. You can use an electric mixer, but I usually just use a wooden spoon and some elbow grease. Add the eggs, vanilla, 1/2 tsp cinnamon, and apple butter, and mix until combined. Add the flour, baking powder, and salt, and mix until just combined. Spread the dough into an 11×7″ or 13×9″ pan (I can’t remember which one I used) lined with aluminum foil and coated with cooking spray. Liberally sprinkle cinnamon sugar over the top of the batter. (I usually mix my own cinnamon sugar when I need it, but I have no idea what the best ratio of cinnamon to sugar should be!) Bake at 350 deg F for 25-30 min or until a toothpick inserted in the center comes out clean. Cool completely before slicing. Enjoy! Based on Crazy for Crust’s Apple Butter Snickerdoodles. 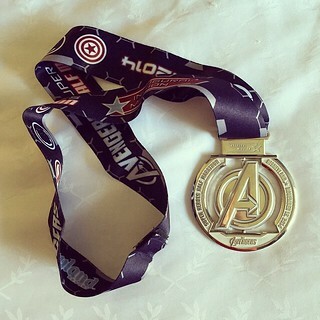 My alarm went off at 3:30 AM the morning of the inaugural Avengers Half Marathon. I hadn’t gotten enough sleep, but I knew I had to get up and eat my breakfast as quickly as possible. I brought my little blender with me so I whipped up a raspberry banana smoothie and drank it (as well as a bottle of water) while getting ready for the race. It’s always weird to slather on sunscreen hours before sunrise, but it was necessary for an approximately 3 hour race. At 4:45 AM I left my hotel room and almost immediately ran into some other folks leaving to walk to the race start line. It was a 15-20 minute walk from our hotel. Not bad, but not great. (I wanted to stay at one of the Disneyland hotels, but by the time I booked, the available rooms were way too expensive. I’ll have to be more prompt next time.) In stark contrast to the Disneyland Half Marathon in August, the pre-dawn air was actually a bit chilly! I knew I’d be plenty warm as soon as we started running so I didn’t wear a jacket to the start line, but I was shivering a bit before the race started when we were just standing around in the corrals. Fortunately everything was great around 6 AM when I finally crossed the start line. Running through the Disneyland and California Adventure and Disneyland parks is so much fun! I didn’t stop for pictures with any of the superhero characters (the lines were long and I didn’t want to stop running), but I liked seeing them as I passed by. Unfortunately not long after leaving the parks we started feeling the full effect of the Santa Ana winds that day. I had heard something about high wind advisories on the news the night before, but I didn’t think anything about it until I was running into a strong headwind at about mile 4. It was exhausting! I decided to walk during the worst of the winds because it wasn’t worth tiring myself out trying to keep running in those conditions. Later that day I discovered that the winds were 25-35 mph with 60-70 mph gusts! Crazy! But the worst part was running along the Santa Ana River Trail on the way to Angel Stadium. Not only was there a wicked headwind, but we were getting sandblasted by dirt from the dry riverbed. It was awful. Fortunately the last four miles of the race after we left Angel Stadium were more pleasant. I actually felt really good when I crossed the finish line, unlike at the Disneyland Half Marathon. I think a combination of walking more in the middle of the race (due to the winds) and much cooler temperatures helped a lot. 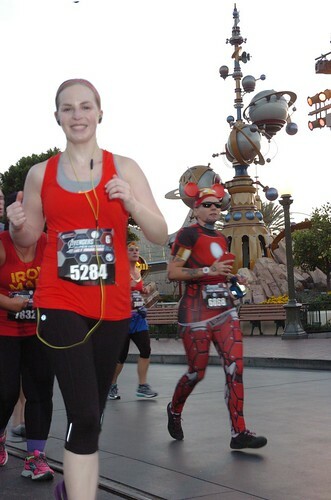 My official Avengers Half Marathon finish time was 2:43:23, which was about 5 minutes faster than my Disneyland Half Marathon time. I couldn’t believe it! After getting my medal (see the above photo! ), grabbing a bottle of mater, and having a couple of pictures taken, I started walking back to my hotel. The family reunion area at the finish line was closed because the winds were knocking down the tents. Crazy. When I got back to my room to take a shower I discovered that my skin and clothes were covered in a thick layer of dirt! It was pretty gross. Fortunately it wasn’t anything a long, hot shower couldn’t take care of. After I cleaned up and rested a bit, I slathered myself with sunscreen (again) and walked to Downtown Disney for lunch. I figured my diet was already out the window that weekend so I splurged on Earl of Sandwich for lunch. That ham and cheese sandwich and Coke tasted so delicious after the half marathon! Since I was already close to Disneyland I decided to brave the crowds and walk over there after lunch. I couldn’t believe how many people were there. I ended up spending about four hours just wandering around the parks, shopping (I bought even more pins plus some Christmas Minnie ears), and treating myself to a chocolate milkshake at Ghirardelli. Delicious. And then I had a corn dog for dinner later. Didn’t I say my diet was out the window? (As a side note, I actually don’t miss bread since going (mostly) grain free, but I do miss certain items – like Earl of Sandwich and Disneyland corn dogs!) After dinner I was determined to see the fireworks that night (the same ones that woke me up the night before), so I staked out a spot on Main Street about a half hour early. I was completely exhausted after being awake since 3:30 AM, but I hadn’t seen Disneyland fireworks in years so I was excited. Unfortunately the fireworks were cancelled due to the winds. Shoot. At that point I was too tired to wait in line for any of the rides so I just went back to my hotel room and crashed. What a long day! But a really good one. On Saturday morning I was stressed. All I absolutely had to do that day was check into my hotel near Disneyland and then go pick up my race bib for the next morning, but there was a long list of other things I wanted to accomplish as well. My first order of business was breakfast. Since I had a half marathon in the morning I considered the usual restrictions on my diet were flexible. This meant I ate a McDonald’s Sausage Egg McMuffin with zero guilt. And it was delicious. At 9 AM the Florida vs. South Carolina football game kicked off, and I started doing a few things around the house. Watching the Gators play is way too stressful without another distraction. So I make an egg casserole for breakfasts next week (and used up some eggs that were on the old side) and washed a whole bunch of dishes. I didn’t want to come home from Disneyland on Monday and be faced with a sink full of dirty dishes. Unfortunately the Gators lost their football game in overtime (after letting the Gamecocks tied the score right at the end of the 4th quarter). Boo! As soon as South Carolina secured the win and I cursed at the television a bit, I left the house to drive to my hotel in Anaheim. After unpacked my things in my hotel room I walked to the Disneyland Hotel to pick up my Avengers Half Marathon race bib, shirt, and half marathon pin at the expo. At this point it was way past lunchtime and I needed to eat a decent meal (and not just the chocolate covered pretzels I bought at the grocery store that morning) in preparation for the race the next morning. I figured my best food options were inside Disneyland so I walked over there and braved the insane crowds and the mess caused by the afternoon parade to find a meal with mashed potatoes. I was still trying to avoid grains as much as possible so I figured mashed potatoes were the best way to get some carbs in preparation for a long run. I ended up having meatloaf (which I’m sure contained grains, but whatever), mixed vegetables, and the much-needed mashed potatoes. It was pretty delicious. When I was done with lunch/dinner I decided to wander around the parks for a while, do a little shopping (my Disney pin collection is a little out of control – more on that another day), and get some hot chocolate at Ghirardelli in California Adventure. Their sea salt caramel hot chocolate is absolutely delicious and it was just cold enough for a hot drink to work wonders. Have I mentioned how lovely it is to go to Disneyland wearing a jacket? We had such a hot summer here in Los Angeles that fall so far has been glorious. I’m going to be spending a lot of time at Disneyland while the weather is this pleasant. After a few hours walking around the parks I went back to my hotel room to go to bed. My alarm was set for 3:30 AM so I wanted to get as much sleep as possible. I was out around 8:30 PM, only to be woken up by the Disneyland fireworks an hour later. It seriously sounded like bombs were going off in the hotel parking lot. They scared me to death! Luckily the fireworks lasted about fifteen minutes so I was asleep again quickly. And it felt like in no time at all my alarm was going off, telling me to get ready for the Avengers Half Marathon! Now that my race weekend is over (more on that tomorrow) I can focus on other things. Like Thanksgiving! I’m sure one of the reasons I love this time of year so much is because I don’t have to cook a big Thanksgiving dinner for anyone! Less stress always means a more enjoyable holiday. For the last two years I’ve had the privilege of enjoying an amazing Thanksgiving meal with my brother and his friends in San Francisco, which requires very little effort on my part. All I have to do is bring some homemade cookies with me to make it look like I contributed to the feast. The cookies are completely superfluous since these folks make such incredible food, but at least I don’t arrive empty-handed. Plus, I use the holiday as an excuse to try new cookie recipes. Last year I made four different chocolate chip cookie recipes, three of which were really tasty. The fourth was a bit of a bust, but a 75% success rate ain’t bad, if you ask me! This year is a little different, though. I haven’t made any sort of baked good for a couple of months, mostly due to banishing grains from my diet (except for the occasional Egg McMuffin). But since I don’t want to subject everyone to the same restrictions (and since I’m planning on indulging when I’m in San Francisco), I’ll break out the all-purpose flour to make treats for Thanksgiving. So tonight I scoured my Pinterest boards for any cookie recipes that jumped out at me. I found quite a few! So far all I’ve decided is that I’ll make snickerdoodles of some kind and chocolate cookies of some kind. I need to find a couple more ideas this week (something with chocolate chips! ), narrow them down to four recipes or fewer, and then start gathering the necessary ingredients. I am completely out of eggs and I think my cinnamon reserve is running low. The horror! But besides that scary fact, I’m really looking forward to baking cookies for Thanksgiving this year! If November was only ten days long I could say that I succeeded at NaBloPoMo. But unfortunately November has thirty days so I was somewhat less than successful. Everything fell apart last Monday when I almost forgot a doctor’s appointment and had to work late as a result, which is what I think turned my post-a-day goal into an epic failure. I phoned it in on Monday with the wordless post, and then the rest of the week I just lost motivation to write anything. It was lazy, but it’s not like I was sitting around doing nothing. I worked a lot, ran errands, cooked, and finished training for the Avengers Half Marathon (which I ran this morning). Besides the race, which I will write about in a day or two, it’s not like I missed documenting a spectacular week or anything. In the grand scheme of things my NaBloPoMo failure isn’t a big deal, but I still hate not finishing something I set out to do. Wishful thinking says that I’ll do better in December, but with the holidays coming up fast that’s probably not true. Oh well. I’ll still do my best to write about what’s going on in my life, especially now that it’s my favorite time of year. Speaking of my favorite time of year, I’m sitting in my hotel room near Disneyland, waiting a few hours before I go back to the parks to enjoy the Christmas lights and the special holiday festivities. Last night I went to bed at 8:30 PM to make sure I got plenty of sleep for my half marathon, only to be woken up by the 9:25 PM Disneyland fireworks. It seriously sounded like bombs were going off in the hotel parking lot, so even if I’d been wearing earplugs I don’t think they would have helped at all. Tonight my plan is to enjoy the fireworks from Disneyland’s Main Street instead. Also, I’m going to try and catch the nightly World of Color show at California Adventure park. I spent about four hours in the parks after lunch today, but the lines were too long for me to get on any rides. Plus, my legs were sore after running 13.1 miles in the morning so walking was more beneficial than just standing or even sitting for a long period of time. That’s OK. Winter is the best time to go to the parks at night so I’ll try to find a weekday evening to come back for the rides. Or maybe I’ll be able to get on a few of them after the fireworks tonight. Fingers crossed that the crowds start to go home after 10 PM!